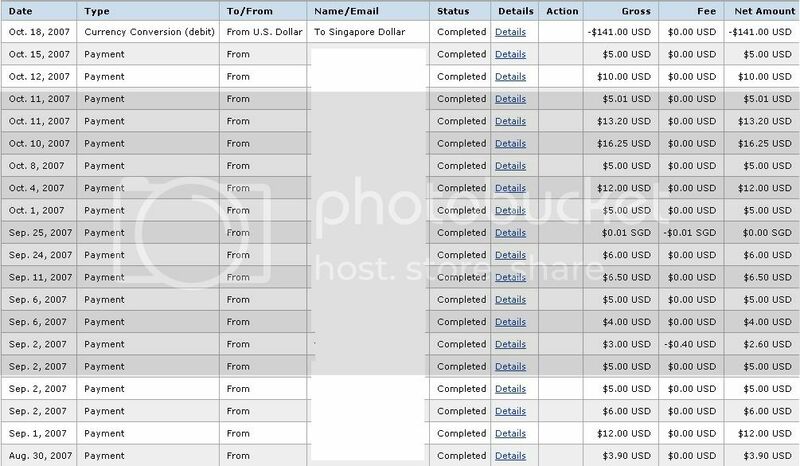 I earned a total of SGD $510.57. 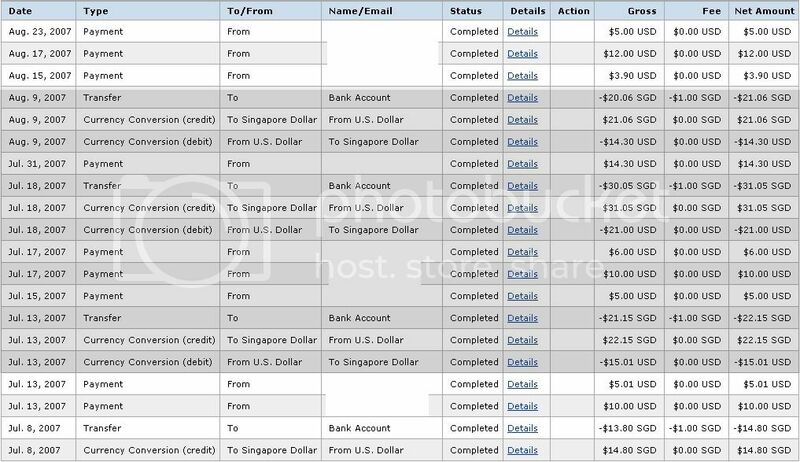 All this are just paid blogging. Not including the adsense money. This works out to be SGD$102.114 per month. Cool. 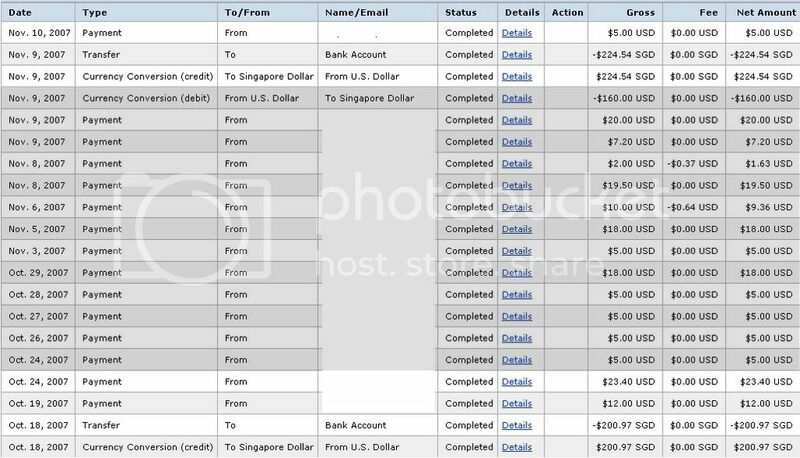 Oh ya that is not including the USD$40 from the ReviewMe thing. But the weakening of the USD is really hurting my profits! I wanted to bank in the ReviewMe cheque today but was hit by the high admin costs. It cost USD$10 to process the cheque. This is an very inflated admin fee. No choice but to write an email to them to ask them to pay me online. Still online works best. No fees if I am banking in $200 and above. DBS is really going to kill me. Plus my Adsense cheque coming. The bank deduct USD$10 I am only left with USD$90. CRAP!